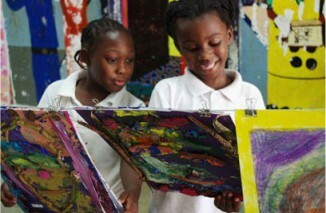 In 1999, noted philanthropist R. Kirk Landon commissioned Young Audiences, Inc., the nation’s oldest and largest arts-in-education network, to conduct a needs assessment of Miami-Dade County’s arts education resources. 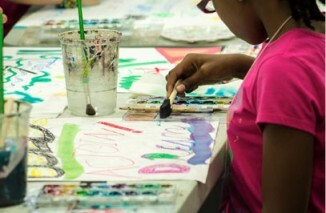 The report revealed that while the school district had strong arts programs and cultural organizations had good outreach efforts, students were still not receiving the level of arts instruction that studies were beginning to show correlated to the development of higher academic achievement and essential life skills. It was clear to Mr. Landon that more could be done to create world class learning opportunities in the arts for his beloved community. As a result, with Mr. Landon’s support, Young Audiences convened Miami-Dade County Public Schools and the Miami-Dade County Department of Cultural Affairs to develop a working group of community leaders to form what would become Arts for Learning, Miami’s leading organization helping children and youth experience the power of the arts to enrich their lives and engage them in learning. The thinking was clear. World class education includes the arts and students need more. Mr. Landon helped secure a $150,000 seed grant through ABIG (now Assurant Solutions) to launch Arts for Learning as a 501©3 organization dedicated to advancing teaching and learning through the arts. 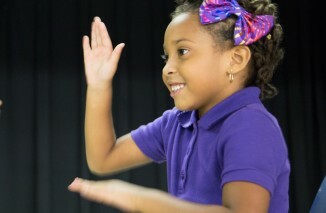 With support also from the Miami-Dade County Department of Cultural Affairs and strategic guidance and office space from the school district, Arts for Learning launched its first program, GET smART, an in-school arts-integration program to help teachers infuse their classes with creative, arts-based lessons that connected to other areas of learning. From there, Arts for Learning thrived; adding new programs and expanding its reach to preschools, parks, and community centers. 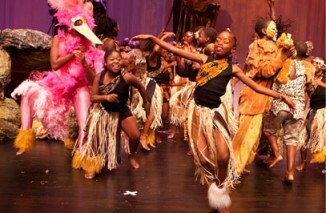 Today, Arts for Learning is the largest organization in South Florida solely dedicated to connecting professional visual and performing artists to children and educators. Every day, Arts for Learning works to inspire young people and expand their learning through the arts. 2000 – Arts for Learning’s Governing Council is formed and two staff members are hired. 2001 – Arts for Learning incorporates as a 501( C )3 organization, launches the GET smART program, and holds its inaugural celebration at the Sagamore Hotel on Miami Beach. 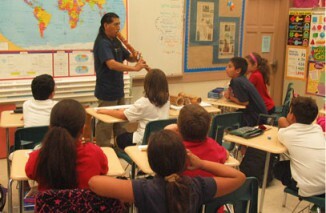 2003 – Arts for Learning launches after-school programs at five Miami-Dade County Public Schools, and six City of Miami park locations. 2004 – Arts for Learning starts early childhood programs to help Miami’s youngest learners develop school readiness skills. 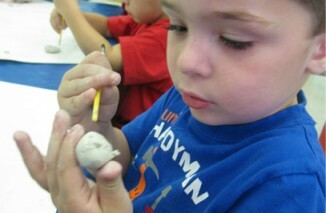 2005 – Arts for Learning’s after-school programs expand to 43 sites across the county. 2006 – Arts for Learning receives Bank of America’s Neighborhood Builders Capacity Building Award. 2007 – Research findings from Arts for Learning’s early childhood program demonstrate statistically significant increases in school readiness skills in children ages three to five years old. 2008 – Arts for Learning forms an Artist Services Department to recruit and support artists who work in educational and community settings. 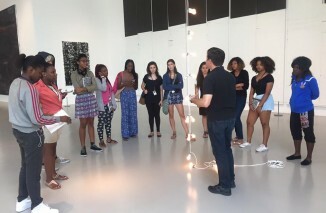 2009 – The Wolf Trap Institute for Early Learning Through the Arts designates Arts for Learning as a national affiliate to be known as South Florida Wolf Trap; Arts for Learning opens the Lewis Arts Studio, a visual art studio program for 6th, 7th, and 8th graders. 2011 – Arts for Learning moves to the Wynwood Arts District as an anchor tenant of The Light Box at Goldman Warehouse. 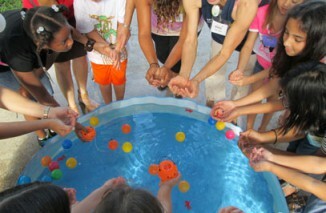 2012 – Arts for Learning pilots ArtWorks, paid summer internships in the arts for high school students. 2013 – A4L launches Baby ArtsPlay!TM to serve children ages 3 months to 3 years and expands ArtWorks by offering internships for academic credit during the school year. 2014 – A4L hosts free Lewis Arts Studio Pop-Up art sessions on Saturdays at parks throughout Coconut Grove. 2015 – A4L’s ArtWorks Internship in the Arts expands to offer paid internship opportunities during the school year, including creative writing and tutoring labs. 2016 – A4L began work with Oscar-Winning playwright Tarell Alvin McCraney, helping to direct the Youth Artist Summer Leadership Program at the African Heritage Cultural Arts Center. 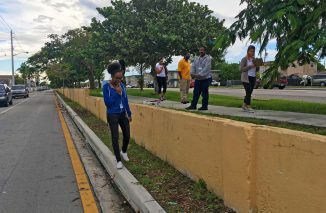 2017 – A4L was awarded the Knight Arts Challenge and ArtPlace America National Creative Placemaking awards to expand the Wall (In) Project, also in collaboration with Tarell Alvin McCraney. 2018 – With the support of The Children’s Trust, A4L takes the A4L Afterschool program to Dr. Carlos J. Finlay Elementary School, providing high-quality arts programs to children in grades K-5, in addition to healthy snacks, literacy support and homework help. 2018 – A4L introduces a new logo, showcasing the vibrancy and diversity of our programs.